Red-eye gravy is a Southern favorite comprised of just two ingredients. It's made from the drippings of fried country ham combined with black coffee. It may sound unusual, but it's quite tasty and a fun way to spruce up an old-fashioned Southern meal of ham and biscuits, grits, or potatoes. The name "red-eye gravy" is derived from the fact that a slightly reddish circle of liquid fat forms on the surface of the gravy when it is reduced. This sauce is also known as poor man's gravy, red ham gravy, bird-eye gravy, cedar gravy, and bottom sop. In a skillet, fry the ham slice in its own fat over medium heat until nicely browned on both sides. 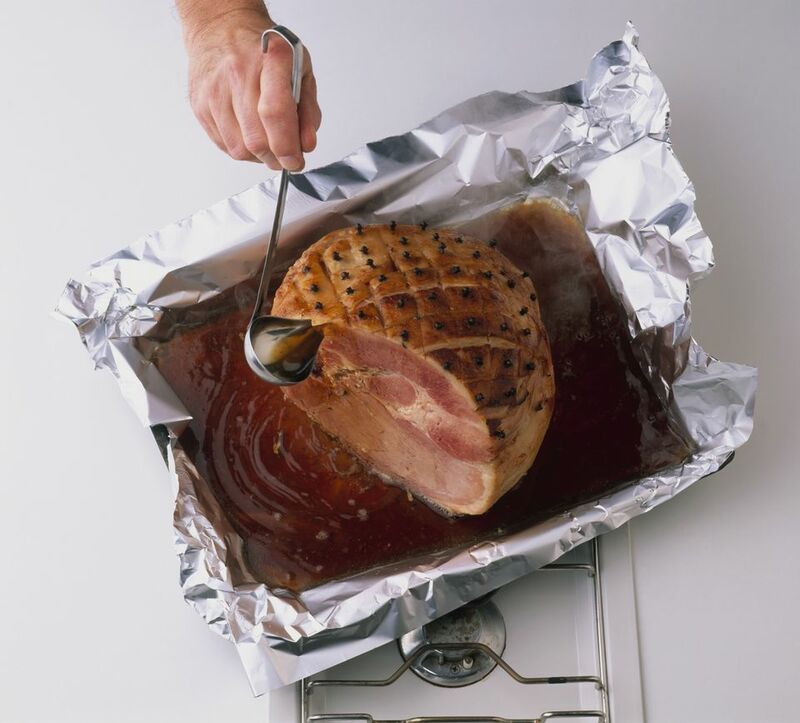 Once it is cooked, transfer the ham to a warm platter, keeping the drippings in the skillet. Add the boiling black coffee to the skillet. Deglaze, scraping the bottom and sides of the skillet to dissolve any particles that developed when you cooked the ham. What is left in the skillet is red-eye gravy, which you can then pour over the ham and serve. The key to red-eye gravy is selecting the right ham. A good-quality, well-cured country ham such as a Smithfield or a genuine Virginia ham is ideal. Choose a slice of uncooked ham that has the most fat for frying so you can maximize its delicious drippings. You also want to be sure the coffee is nice and strong and tastes good to you; although it is cooked down, it does contribute a significant amount of flavor to the recipe. Red-eye gravy is most often served over ham and is sopped up with biscuits. Many people also enjoy it on top of grits, cornbread, or fried potatoes. When making a "Southern ham biscuit," it is common for a diner to dip the cut sides of the biscuit into the red-eye gravy before assembling the sandwich. The gravy is also mixed with mustard or ketchup and then sopped up with a biscuit. If you find the gravy a bit too bitter and acidic (from the coffee) for your taste, you can add a little chicken broth or water, as well as a pinch of sugar to mellow out the flavors. Once you make the red-eye gravy, you will need something delicious to spoon it over. Make a warm pot of creamy grits, a batch of skillet cornbread, or some buttermilk biscuits to sop up the tasty gravy. Of course, you need a good ham to begin this recipe; if you are so inclined, you can cure your own country ham from scratch, or purchase a quality country ham.